The iPad maker is being a real pain to Samsung to say the least. 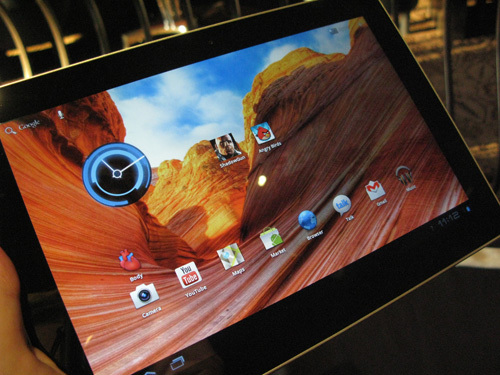 Even after it was found that the Cupertino company tampered with evidence, the German court still banned sales of the Galaxy Tab 10.1 at least until September 9th. Similarly in Australia, the launch of the tablet is currently postponed until September 26th when a final verdict is expected. The Australian court, however, is giving Apple a chance to prolong the ban. The only catch is that Apple must prove its iPad sales have suffered due to the likeliness of the Samsung tablet. In other words, are people really purchasing Galaxy Tabs thinking that they were getting iPads instead? “Unless Apple puts on evidence showing the impact in the U.S. or U.K., I can’t draw any positive assumptions,” said Court Justice Annabelle Bennett. Even if Apple decides to release its sales figures to the court, it could prove difficult to claim that Samsung has impeded iPad sales, especially when the iPad holds the majority of the tablet market share. Of course, both companies are still expected to put their own spin on the situation. “People want an Android product, so they will buy an Android product,” said one of Samsung’s lawyers. Meanwhile, Apple’s own lawyers are convinced that the “remarkable similarity of the Samsung product” is indubitably eating sales away from the iPad. Whether or not Apple will make its move between now and September 26th is anybody’s guess, but expect more news to come as the case progresses.